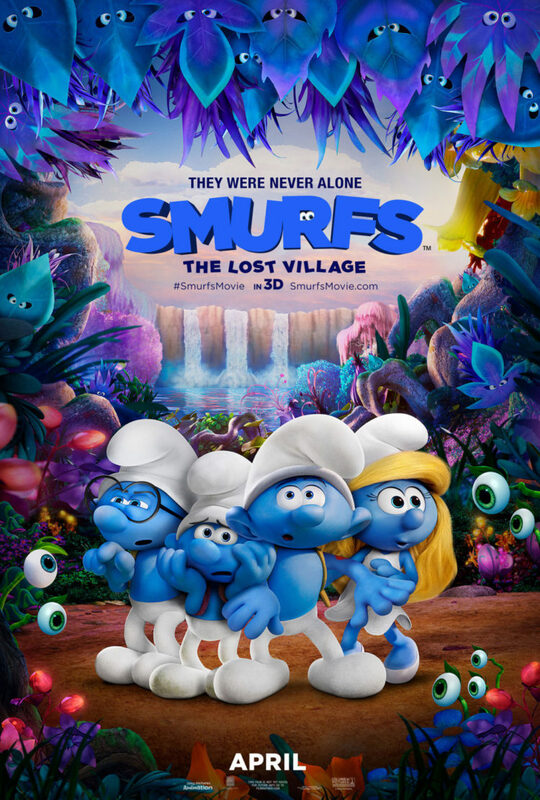 In this fully animated, all-new take on the Smurfs, a mysterious map sets Smurfette and her best friends Brainy, Clumsy and Hefty on an exciting and thrilling race through the Forbidden Forest filled with magical creatures to find a mysterious lost village before the evil wizard Gargamel does. Embarking on a rollercoaster journey full of action and danger, the Smurfs are on a course that leads to the discovery of the biggest secret in Smurf history! Check out Smurf Movie there are many Smurf Coloring pages, Character profiles and printable activities. you how to draw a SMURF!! If no answer soon I will pick another winner! Disclosure in accordance with the FTC’s 16 CFR, Part 255: “Guides Concerning the Use of Endorsements and Testimonials in Advertising”): Many thanks to Propeller Consulting, LLC for providing this prize for the giveaway. Choice of winners and opinions are 100% my own and NOT influenced by monetary compensation. I did receive a sample of the product in exchange for this review and post. My favorite smurf is brainy smurf. Smurfette has always been my favorite. My favorite is Papa Smurf. I think that Papa Smurf is my favorite. He just seems wise and philosophical. Papa Smurf is my favorite character because he is so funny. Papa Smurf is my favorite because of the things he says. I always liked Hefty Smurf. I think his tattoo drew me to him. I was fascinated with tattoos as a child. My favorite is Clumsy Smurf. We might have a lot in common. My favorite smurf is Smurfette, of course! She's the best! I can't wait to show my five-year-old daughter the movie! I like the Sleepy Smurf. Smurfette has always been my favorite! I like smurfwillow. Actually, I have no idea who smurfwillow is but I like the name. I actually love Smurfette and Papa Smurf equally. my favorite is Smurfette of course! i love these movies they're so cute and fun! Papa Smurf is our favorite. We really like Papa Smurf! Thanks so much for the chances to win. I was always a fan of Papa Smurf! I like Papa Smurf. Not sure why exactly but I can always remember him from when I watched the show when I was young in the 80's.